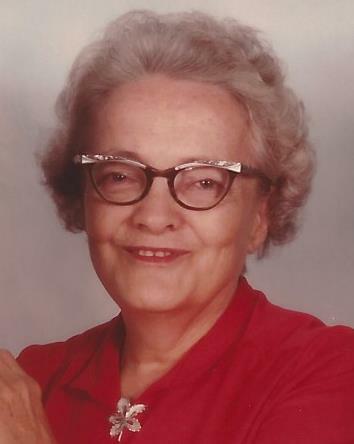 Lucille Baker, 93, of Viola, Illinois passed away at home on Tuesday, November 20, 2018. Funeral services are 11:00 a.m. on Saturday, November 24th at Dennison Funeral Home, Viola, with visitation one hour prior. Rev. Terry Evans of Viola United Methodist Church will officiate. Serving as pallbearers are William Starcevich, Cody McWade, Kurt Noy, Jeff Loete, Matthew Summers and Tom Noy. Honorary pallbearers are Carson Noy and Randy Diehl. Burial will be in Viola Cemetery. Memorials may be left for Viola Community Food Pantry. Ella Lucille was born May 3, 1925 in Preemption, Illinois the daughter of Bruce and Etta Bell Robbins. She graduated from Sherrard High School. On October 28, 1942, she married Virgil E. Baker in Kahoka, Missouri. They were married until his death on July 14, 1985. Lucille had worked at Form Fit in Monmouth, operated the Desert Delight in Arizona, Baker’s Emporium in Viola and was the face of Terry’s Pizza Place in Viola for many years. She was a member of First Baptist Church of Joy. Lucille enjoyed the roll of being a caregiver, tending to her flowers and garden as well as crocheting. Those left to cherish her memory are her daughters: Patricia (Thomas) Noy and Ellen Christiansen all of Viola; grandchildren: Brenda (Jeff) Loete, Kurt (Shamra) Noy, Randy Diehl, William (Veronica) Starcevich and Nicole (Matthew) Summers; 9 great grandchildren and 1 great great grandchild. She was preceded in death by her parents, husband, siblings: Dorothy Robbins, Margaret Douglas and Earl Robbins and a great grandchild.